As part of the force meant to stop a worldwide outbreak, you’ll make your way through the ransacked lab, ruined morgue, and rotting basement to assure that the undead are contained. What happened here at Chemacorp, the company that was once the global leader in biotechnology? Their experimental DNA-altering Alpha Strain has gone terribly wrong and turned soldiers into aggressive zombies. Now, the building is on lockdown, and the only way out is through an emergency exit on the other side of the compound! Along the way, the sights, sounds, smells, and real live scares will keep you on your toes and make your heart pound. It’s seriously a thrill-a-second the whole way through as you avoid being infected by hordes of the undead or exposed to the remaining aerosol doses of Alpha Strain. Contain your fear? No way! During construction of Chemacorp’s basement, unusual hums and bangs were heard nightly by the crew. We were surprised to learn that several of the rusty light fixtures and many of the metal barrels bought from a salvage company actually came from the 100-year old Lemp Brewery in St. Louis that’s reportedly haunted. On several occasions we attempted to remove these items, but the equipment heated to scalding temperatures anytime the team tried to remove even the tiniest screw. It is unknown what spirits traveled with these artifacts or how their presence might impact the cells where the zombies are contained. Guests often say that this area has a certain chill in the air, making the attraction even more spine-tingling and AWESOME! Many of our guests enjoy Outbreak as their first haunted experience, and it’s also popular with zombie enthusiasts and haunted house lovers. But, don’t worry! Our “scare actors” won’t touch you, and we respectfully request that you don’t touch them. Can you hold hands with your friends or family? Definitely! Will it be a great time? For sure! All of the action takes place inside Castle On The Hill at Parkway and Showplace, located in the same parking lot as the Hollywood Wax Museum. 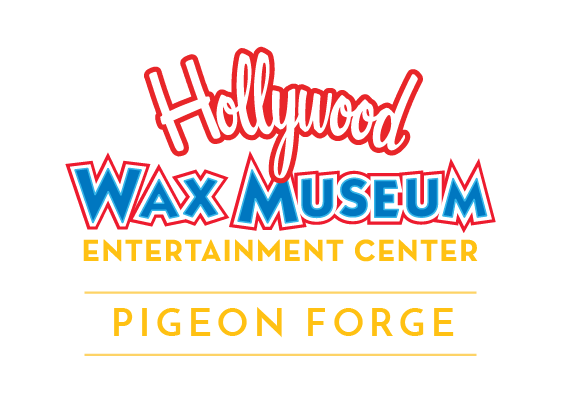 The entire complex houses four top attractions in Pigeon Forge that are open 365 days a year. Please check our convenient hours and excellent ticket options, including the All Access Pass. We look forward to welcoming you! A great adventure I would do again and recommend to friends. A+ Scare. The theatrics were great! I’ve never been so scared in my life but it was so funny! Absolute blast! Would definitely recommend to anyone for a rush.